I'd always thought it should have been Frank Lloyd Wright who said, "God is in the details," not Ludwig Mies van der Rohe (immortalized in glass at the IIT McCormick Student Center by Rem Koolhaas). 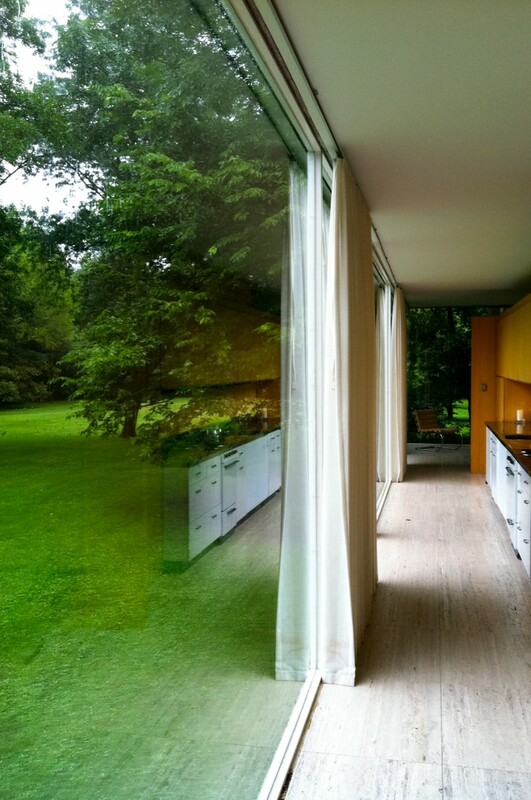 But then I grew up a little, at least as a looker of architecture, and I realized that in refining his work to the smallest, most elegantly restrained details, Mies had a point. 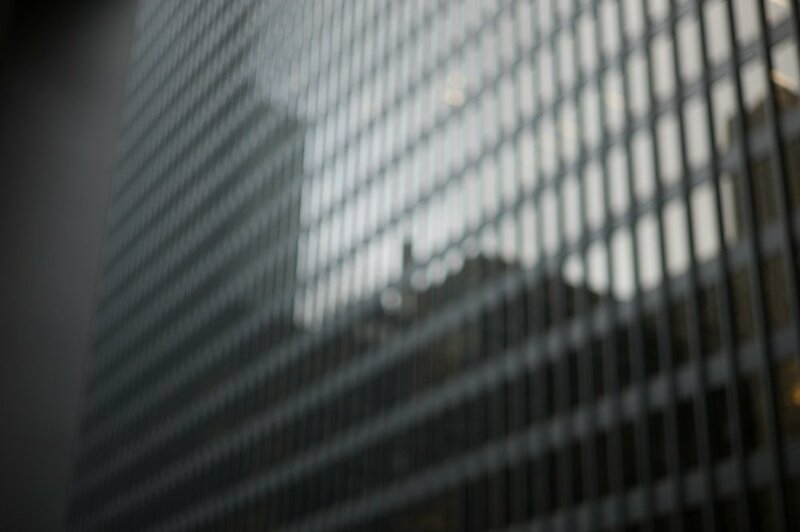 Finding something new to photograph in Mies' work can seem a challenge, because all four sides are usually alike. 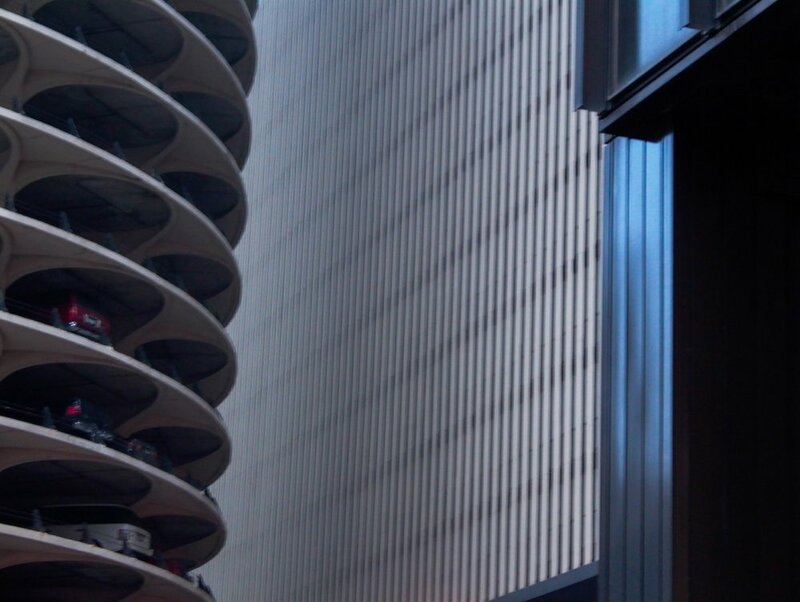 To the casual observer, many of his buildings appear as perfect copies of each other. But there is beauty and serenity to be discovered in the rhythm of regularity and conformity. 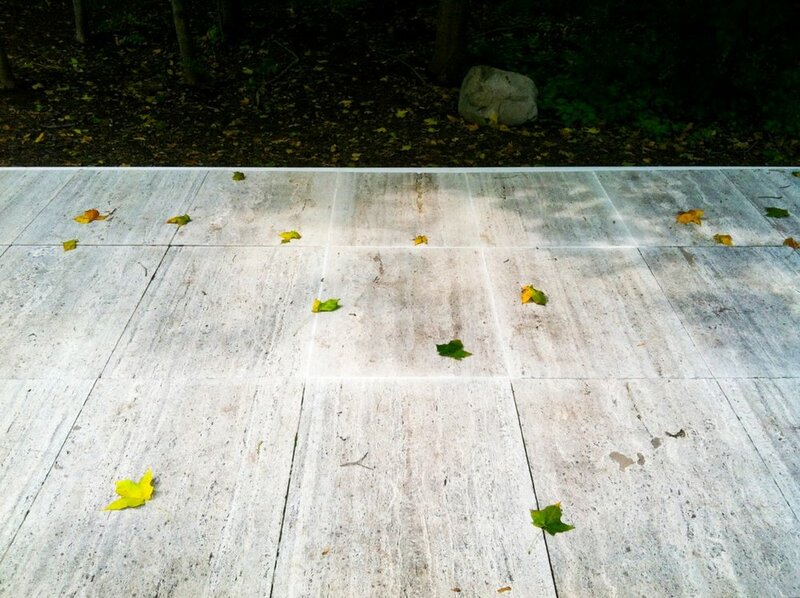 At Mies' iconic Farnsworth House outside Chicago, the details in which the Almighty resides are everywhere. They've been captured in photographs countless times. What else is there to find? Some of his buildings at the Illinois Institute of Technology in Chicago, where Mies was Dean of Architecture, are showing their age. But there is something striking about the imperfection of perfection. 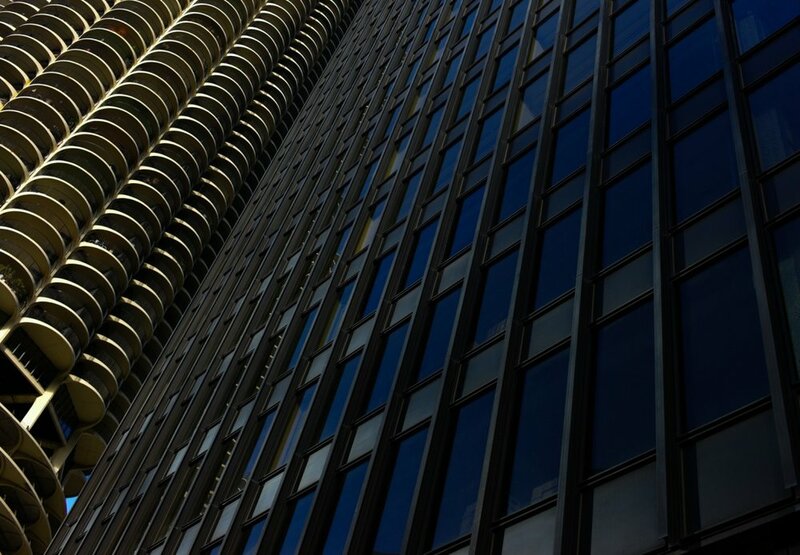 Through the orange-colored glass of Koolhaas, Mies' rigid old buildings soften, gaining back some of their youthfulness. 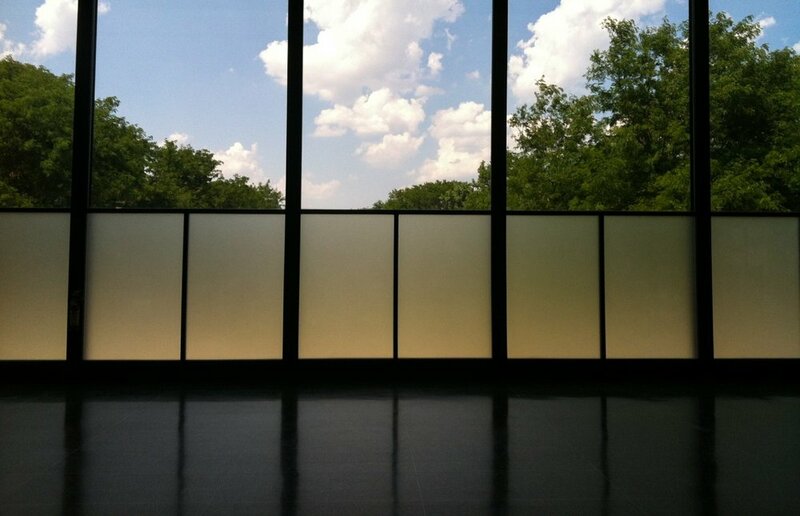 Mies' final building in his lifetime was the Neue Nationalgalerie in Berlin, opened in 1968, a year before his death. A temple for art, and one might say a monument for its architect, its massive 1250-ton roof gazes intently at an elder, more ornate, devoutly religious neighbor. Where does God really live? The building's unrelenting glass pattern interacts with surrounding sculpture on the huge plaza inspired by Karl Friedrich Schinkel. 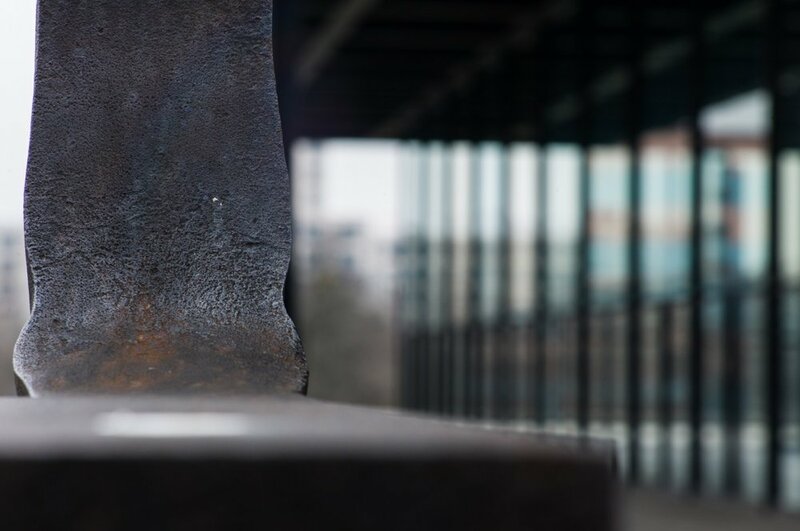 Even the most powerful of Mies' details, the lofty column, can occasionally be brought down to Earth. 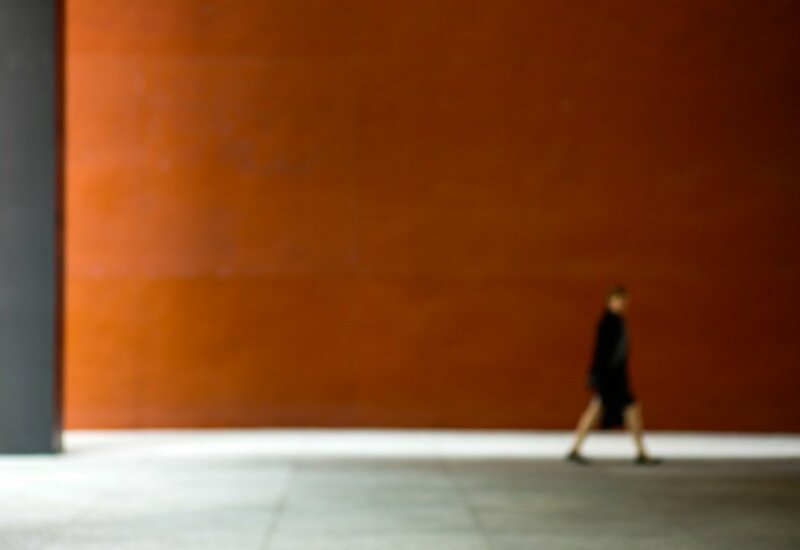 It is Mies' Chicago work I like best, particularly his Federal Center, where the usually taciturn architect engages in a spirited dialogue with Alexander Calder. At his last building in North America, the IBM (1973), Mies converses with his student from the Bauhaus, architect Bertrand Goldberg, who according to architecture lore, has the last word: "Mies," Goldberg reportedly once told him, "I just can't do rectangles anymore."